Industrial air pollution has adversely affected biodiversity for the last century and it continues to progressively increase every year. Carbon dioxide is one of the most dangerous emissions that are released into the atmosphere through the burning of fossil fuels and it is a major contributor to the greenhouse effect. Sulfur dioxide gas is also emitted from these industries and this acidic gas contributes to the formation of acid rain and can corrode buildings. 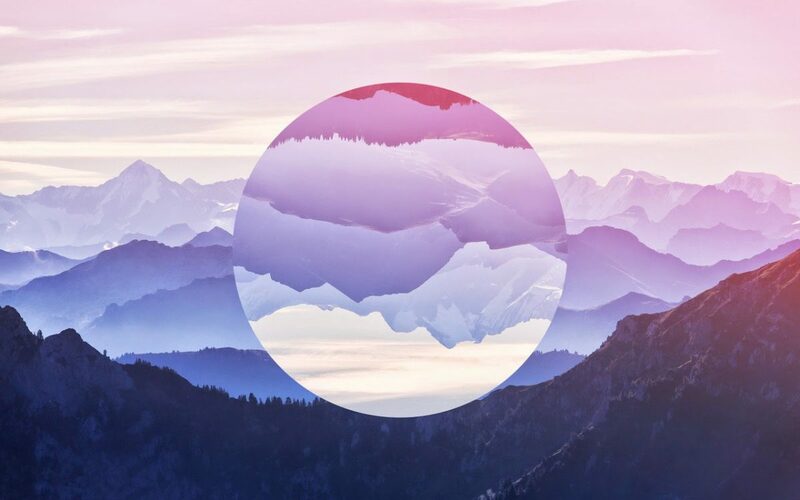 The depletion of the ozone layer, on the other hand, is caused by the emissions of carbon monoxide gas which is also produced by the industries. Emission sources from factories and industries include pollution from chimneys, diesel generators, boilers and stacks. They typically emit sulfur dioxide, nitrogen oxide, carbon monoxide and carbon dioxide. While factories and industries in Malaysia are required to install equipment that limits smoke emissions by our government, not all factories are in full compliance. These air pollution control equipment has actually significantly improved the air pollution problem in Malaysia. Our government forces factories to reduce dust and harmful gas emissions. To remove dust as soon as it is produced, factories install electrostatic filters in their smokestacks. These filters collect the dust and reuse it in their production. Dangerous gases are removed with water filters called “scrubbers”. The dirt contained in the smokestack emissions dissolve in the water. This makes it unable to enter the atmosphere. However, while most factories have cleaned up their harmful emissions, installing this equipment can be very costly and its maintenance costs are also just as high. A lot of factories do not fix the filters and scrubbers when they are spoilt just to save some pennies. Besides that, there are many other different techniques that are used for controlling air pollution caused by these air pollutants. Combustion – this method is used when the pollutants are organic vapours. The organic air pollutants are subjected to catalytic or flame combustion in which they are converted to carbon dioxide gas and water. Absorption – in this technique, the polluted air filled with gaseous pollutants are passed through a wet scrubber containing a suitable absorbent. It’s usually water. The water will absorb the gaseous pollutants that are present in the air. Adsorption – in this way, the untreated polluted air is passed through porous solid adsorbents which are kept in suitable containers. The gaseous pollutants are adsorbed at the surface of the solid and enables clean air to pass through. As a leader in the medical equipment industry in Thailand, we at ITS-THAILAND supply a wide range of medical equipments to cater to your needs. We offer the industry’s modular furniture, surgical lights, medical pendants and warming cabinets. If you want high-performance, long-lasting and premium quality medical equipments in Thailand, then we are the one that you are looking for. At ITS-THAILAND, we apply our knowledge and understanding in healthcare to offer life-saving medical equipments that are priced very reasonably. We ensure that all our medical equipment has been tested for its durability so that it can meet the needs and standards of physicians and patients. Our Flexmatic Scrub Sinks are one of the medical equipments that are designed according to several safety standards, and it fulfills the requirements of any operating room in Thailand. These scrub sinks are available from one, two or three stations and it offers hands free operation for soap and water usage. This medical equipment has its specially designed safety features which help to minimize risk of contamination. We focus on giving the best and only the best to our patients. Most patients have a tough time in the hospitals and we want to make it as easy as possible for them. With AMSCO Warming Cabinets, nurses can chuck in patients’ bed spread, blankets, comforters and pillow cases so it is warm when the patient gets it. This however is not the only function of this warming cabinet. It also functions to keep surgical irrigation and sterile IV fluids in its optimum temperature. This warming cabinet is a medical equipment that comes with optional features that can be added such as electronic data reporting, mobile bases and electronic locks for the doors. ITS-THAILAND also supplies Modular Furniture as it is medical equipment that cannot ever be neglected in any healthcare centre. We develop excellent room systems that are able to optimize the workflow process in hospitals. Besides that, the cost of our modular furniture is actually very economical as we provide optimally designed solutions. Our medical equipment comes with high standards which match what top physicians look for and it is consistent with the functionality. One good thing about modular furniture is that it is integrated, comprehensive and very flexible with detailed solutions that were innovative and creatively thought about only to ensure our customers which high dependability in installation. As a large scale industry, the food ingredients that you use vary from what you usually use at home. This is because food industries in Malaysia look for products that have a long shelf-life and can be stored at ambient temperatures. The usage of these processed food ingredients such as the high gel egg white powder that ITS-INTERCHEMICALS supply actually helps the dispersion process by producing stable emulsions. This food ingredient maximizes the amount of grease/ oil that can be added, thus becoming a significant food ingredient in sauces alongside mayonnaises. This egg powder emulsion is a food ingredient that does not break even when it is heated to an extreme degree. ITS-INTERCHEMICALS is a reliable food ingredient supplier that also supplies seafood food ingredients such as shrimp powder, lobster powder, as well as meat powder. The lobster powder food ingredient we supply is a blend of natural lobster extract with some salt and yeast which imparts an intense lobster fragrant. We also manufacture shrimp powder which you can use as a food ingredient in soups, snacks, marinades, canned food, or just to enhance your food. We dry the shrimp leaving all its nutrients intact so it has a full, intense shrimp scent and flavour. 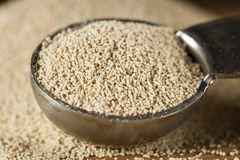 We also distribute yeast as it is a very crucial food ingredient. Yeast is used in bread-making, dough making, and some traditional foods. Our yeast is formulated to be resistant to the thermal shock of deep-freezing. It has been said that chicken broth has powers to heal. Our mothers and grandmothers used to make homemade chicken broth. However, as an industry or a busy household, we do not have the time for that. Do not lower your standard. We supply high quality chicken fat that improves attributes; appearance and mouth feel of your broth. It is not like a premix, it is an enhancer. This chicken fat is high in omega 6, and does not denature to produce carcinogenic substances even if under high temperatures and pressure. What are you waiting for? Click here purchase your premium quality food ingredients that will bring you convenience in your food industry now! At Mingo Ice Cream, ice cream is more than just a dessert. It’s a vacation from the everyday. With the blazing weather in Singapore (it is getting worse, in fact); we at Mingo Ice Cream are on a mission. A mission to provide delicious, handcrafted ice cream made from only quality, natural ingredients to refresh your sunny day. We put our heart and soul into making sure each batch of our ice cream will be made fresh without using any additives. We are a team of people who are passionately driven to create a joyful, flavorful experience for our customers with every taste. Our philosophy is to use the best ingredients available, and always in abundance. Our customers delight in the enjoyment of simple, real, delicious ice cream made from our own Mingo SoFresh milk, and we delight in making it. We have various ranges to cater every Singaporeans’ needs; namely, Rokka, Impact, Oasis, Fruttega as well as Fruitesia. Our ice creams are low in fat and calories so it would not be a guilty pleasure to indulge in it; just pure pleasure. We have put in tremendous efforts to enhance our recipe so that our ice creams are velvety and smooth. We have a wide selection of flavours. 24 in the Mingo range and the other ranges have 3 to 4 flavours to choose from. Our ice lollies and popsicles are purposely crafted to quench your thirst during the blazing hot weather in Singapore. What makes Mingo Ice Creams so good? Plenty of T.L.C goes into every scoop! Do visit our website at http://www.mingoicecream.com.sg/ for more information. Be Easy! Stay Cold. Sweet corn on the cob, slathered with butter and salt likely takes you down the memory lane; when we used to buy it from the night market weekly. No matter what technique is used, it is undeniable that sweet corn is Malaysia’s favourite vegetable. Here are 3 of our favourite and most efficient techniques to prepare the healthy snack that tingles our taste buds every single time. The classic way of preparing sweet corn is through boiling. A flat, wide pan can be used to boil a corn or a stockpot to boil a huge batch at once. Fill they pan with water until it covers the corn fully and wait till it boils. The outer husk and corn silk is shucked off. A tablespoon of salt is dissolved in the water to enhance the taste of the corn. Cook it for 5 minutes; never leave it for more than 7 minutes or it will be too soggy and overcooked. If you are looking to save some gas, then this is the way. However, this method only allows for maximum 2 corn cobs at a time. Leave the corn cobs in their husks and microwave them on high for 4 to 6 minutes. Never go more than that. Let them cool so that it is easier to handle. Then, shuck of the silk and husk. Grilling the corn gives a smoky flavour that is loved by children and adult alike. Peel the husk, but leave them attached at the stem. Brush the corn with butter or olive oil after removing all the corn silk. Cover the corn with the husks and secure them closed by tying a string around it. Do not forget to turn occasionally to ensure even cooking, until the husks are toasted. This is the longest process of all, it takes about 15 minutes. Once the husks looks burnt enough, wait for the corn cob to cool, strip it off and voila!